Yes, Kris Wu and EXO are not exactly two artists who would like to be reminded of each other. 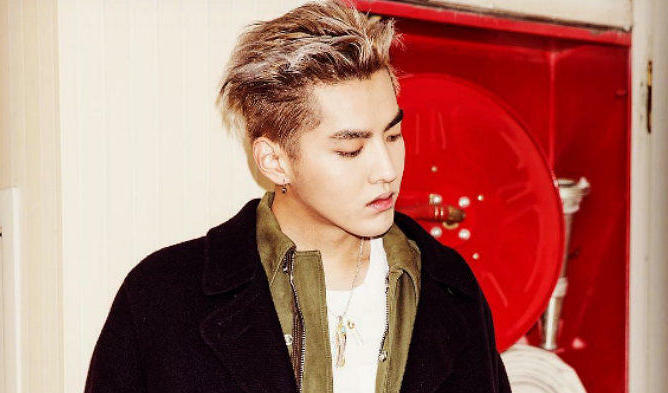 Kris Wu, a former member of EXO, is currently busy being the judge of an audition program in China. Unfortunately for him, one of the participants of the audition program chose the EXO song ‘Overdose’ to perform. f(x) member Victoria, who is also a judge of the audition program, couldn’t resist but grin and look over at Kris when the song began playing. He was seen smiling for a few seconds and then having a slightly awkward expression throughout the performance.